Ilya, one of my buddies is interested in a Leica Tempus. Any thoughts? I got some info from a Leica contact. Tempus uses basic Docter screw pattern, but is a touch longer (by a third of an inch or so). He flat out said that optical performance is unmatched in the industry at the moment and Leica guys usually do not say this kind of stuff too lightly, so I will get my hands on it and test it on both rifle and handgun. The specs look interesting. Unlike most other red dot makers out there, Leica is not bullsh*tting about it being parallax free. They are actually listing parallax error numbers at 40 meters. That is veyr refreshing. I'll have the second slide cut for the Tempus and compare them side-by-side. He flat out said that optical performance is unmatched in the industry at the moment and Leica guys usually do not say this kind of stuff too lightly. I was told the same thing here recently. 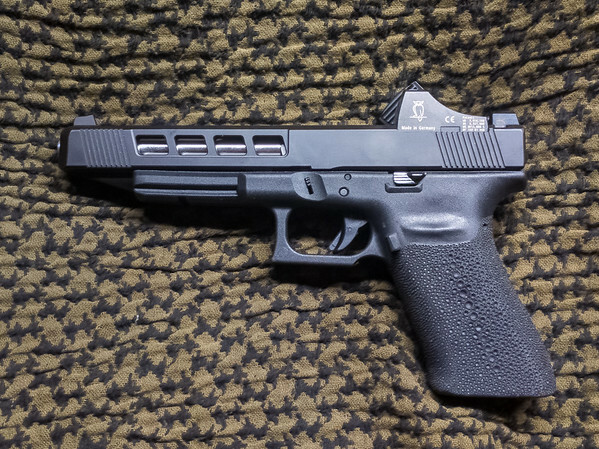 I am sorta intrigued, so I will test one on a carbine and then have Ted cut another 10mm slide for it. This is very interesting and I look forward to the carbine observations.